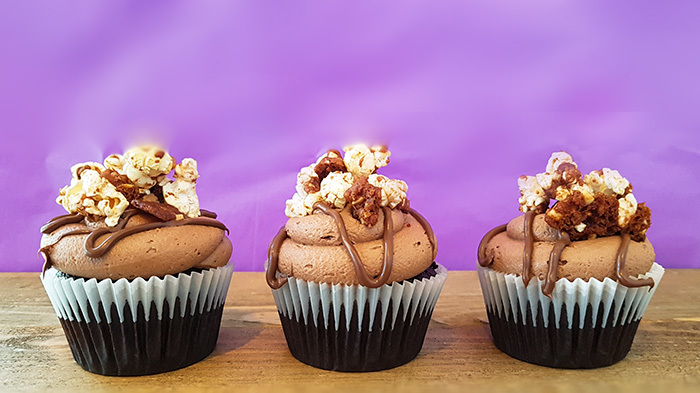 A moist chocolate sponge filled with Nutella, toped with a drizzle of Nutella, Nutella frosting and Nutella coated popcorn....Nutella overdose! While away with work recently, I was faced with the hotel breakfast buffet. And in this particular buffet there were Nutella muffins. And yes..I indulged and remembered my love for Nutella. 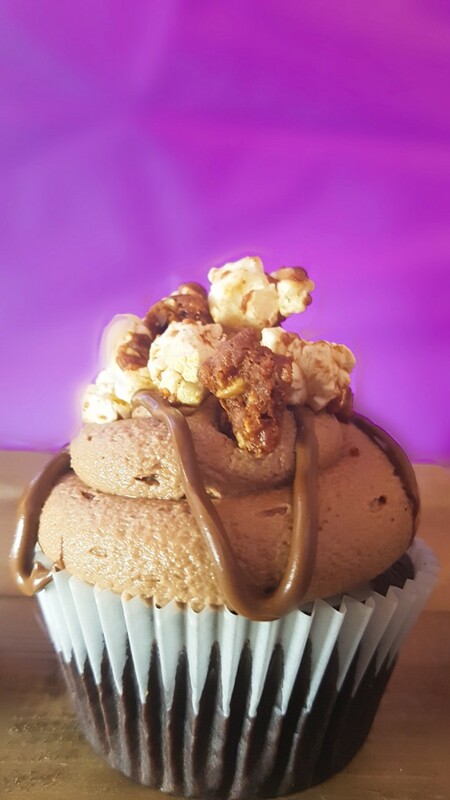 So when the Scranline featured a Nutella Popcorn cupcake on Instagram I knew I had to try them. I have a favourite chocolate cake recipe so I did make some changes. 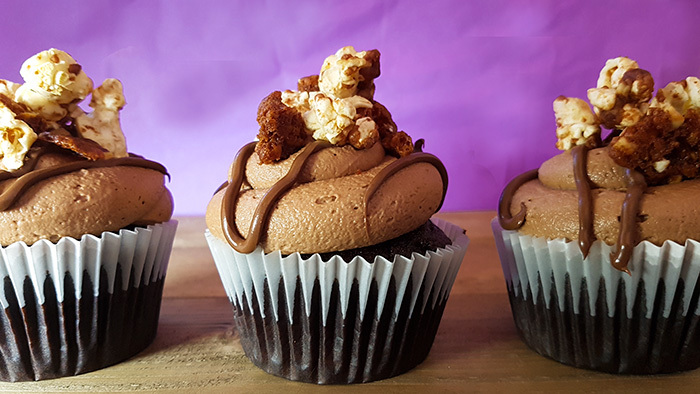 When the cupcakes have cooled, cut a small hole out of each and fill with a spoonful of Nutella. Then place the removed piece of cake back on top. 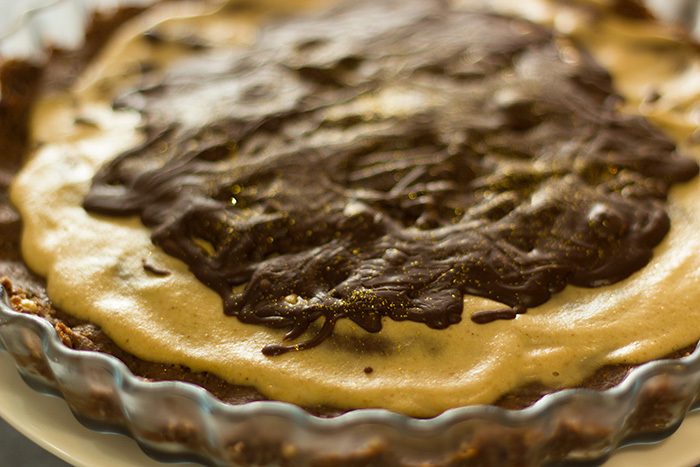 This makes for a wonderful Nutella gooey centre. 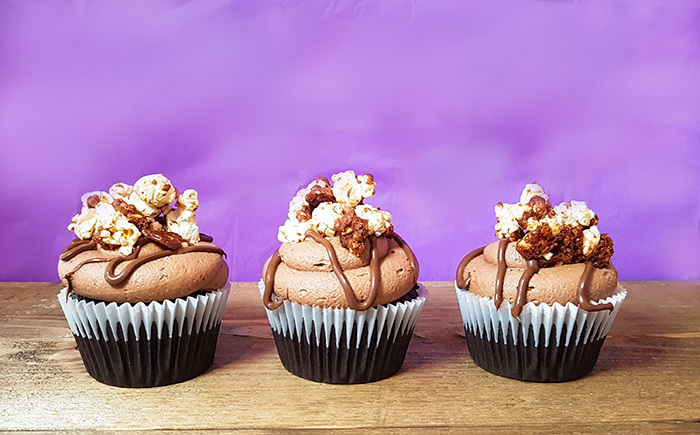 Top your Nutella filled cupcakes with frosting, drizzle over some Nutella (using a piping bag) and top with Popcorn. These are incredible. And to be honest, you don’t really need the addition of the popcorn – it just makes it look nicer! And if you do add popcorn, make sure you eat them soonish afterwards as otherwise the popcorn will go soggy!